Peter Armitage Ltd - Disability Conversions. In recent years, people with physical and mental disabilities have been encouraged to be more independent. Where possible this has led to living in specially adapted private accommodation rather than institutions of multiple occupancy. 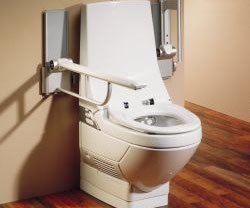 With the advent of more sophisticated equipment, the adaption of premises for people with disabilities has become more specialised and now forms a major part of the work we provide. 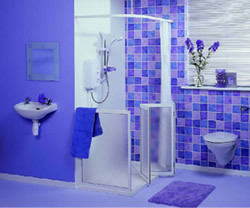 What began, and continues, with the formation of access ramps and the installation of stairlifts, now includes the construction of extensions containing specialised equipment such as rise and fall baths and basins, overhead hoists for transportation between sleeping and bathing facilities, level access showers and full body drying equipment. 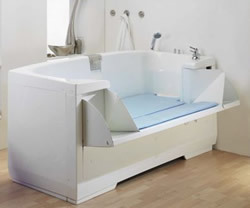 In addition to bathing facilities, specialised equipment is available for kitchens, thus enabling disabled people to cook for themselves and be more independent, this is another area where Peter Armitage Ltd can assist clients in the design and installation. 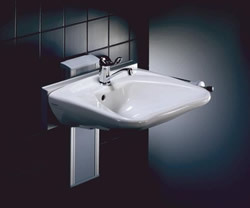 Projects of this type we have carried out vary in size, from small bathroom adaptions through to major extensions and alterations up to £450k in value. Whilst most of the work is carried out in West Yorkshire the company is able to carry out work nationwide and has recently completed large extension and refurbishment contracts in Devon and Lancashire. Whilst specialist equipment is generally specified in the first instance by Occupational Therapists or Case Managers, we have developed a long standing working relationship with the suppliers of this type of equipment, and in conjunction with Kingcraft Ltd of Sheffield is now able to offer advice on the type of equipment available and which items would be most suitable to particular needs.